My wife and I just purchased our first home. 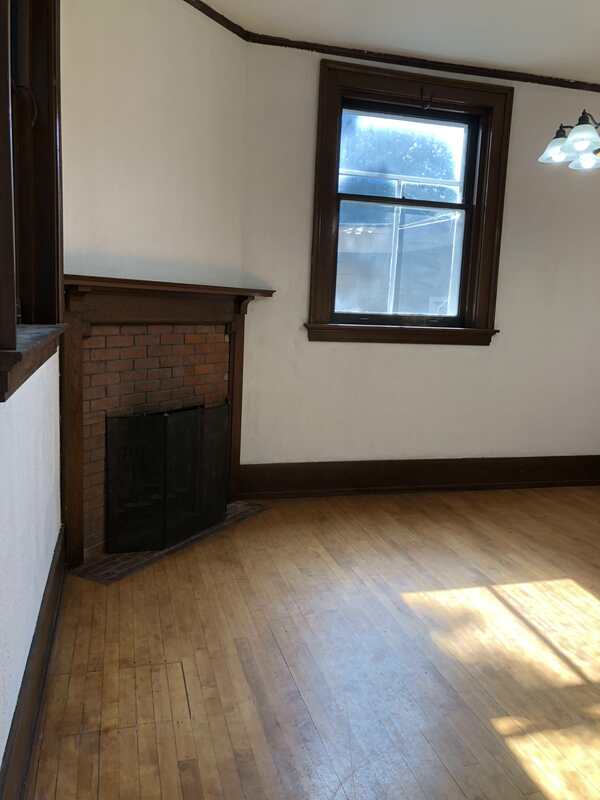 It used to be a state bank built in 1901, and the main level has wood floors (some areas are now carpeted). I’m hoping you can help me identify the type of wood, or at least narrow it down for me based one what was likely to be used in the early 1900s for a nonresidential structure - my guess is something durable for heavy traffic? Sorry in advance, the pictures are horrible but it’s all I have. Without better pictures, I'd guess maple. There's not a pronounced grain like with pine and a blotchiness that maple can get with staining. 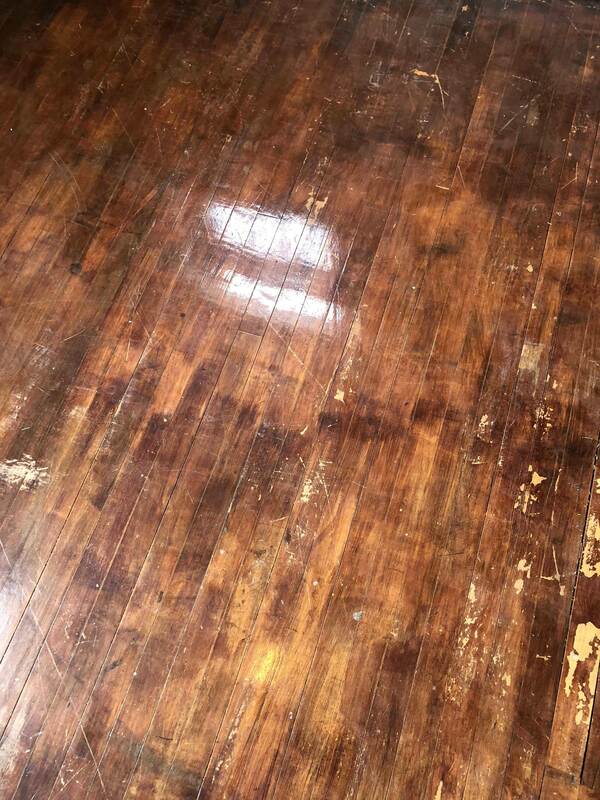 Unless you need to replace some or all of the floors, the real issue you'll need to address is if you can refinish the floors. Your local Home Depot sells red and in some areas, white oak hardwood floors. If you use a dark enough stain and are the same size width planks (usually 2-1/4"), then you can successfully match up what you have now. If need be, your local Home Depot flooring specialist should be able to special order a maple or similar species of hardwood in the plank size. 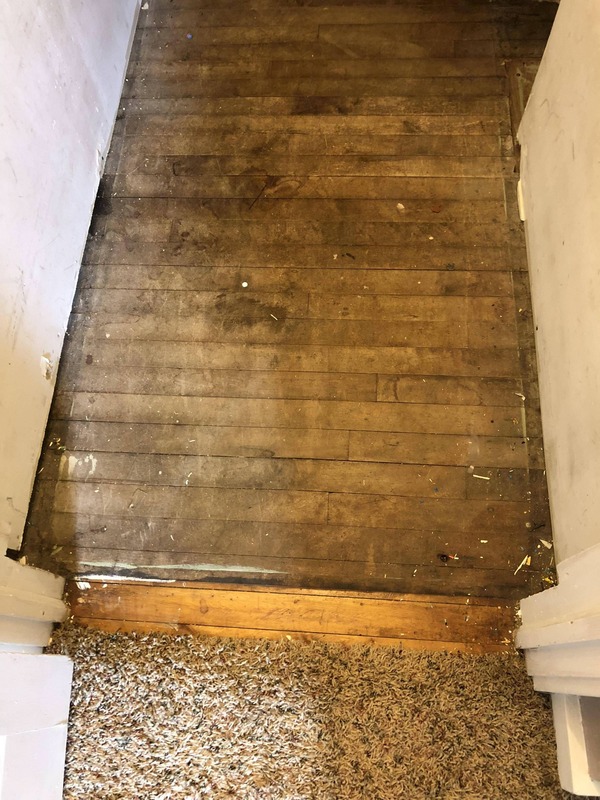 If that is the case, be aware that you'll need to measure a sample of an existing plank in your floor by way of its width, length, and thickness. 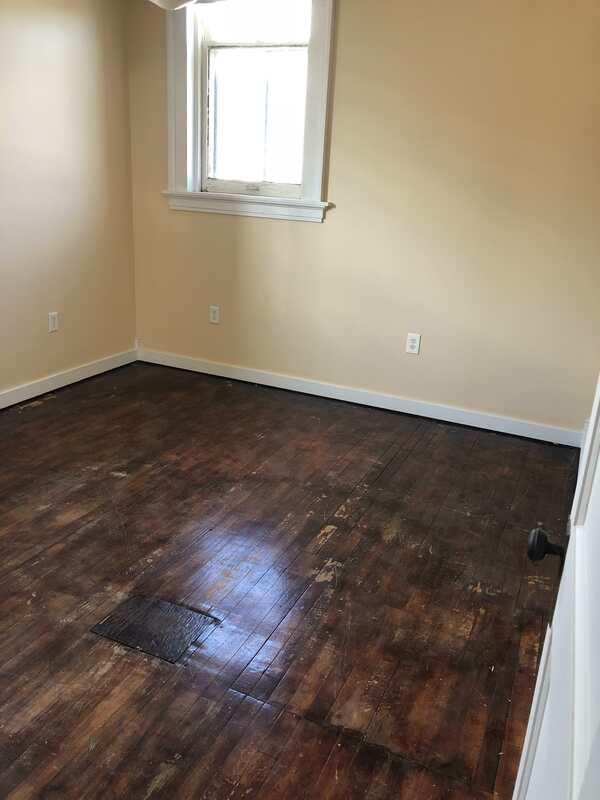 In fact, with the exception of the small middle piece in one of the rooms, the floor can be refinished and made to all look consistently the same using stains and floor-rated polyurethanes.